Subscribe to Audra's blog to get news, trends, tips, hints, & DFW's local flavor! We respect your privacy. You are welcome to unsubscribe at any time. Title Tip: Why Are Texas Homestead Rights so Important? We Texans cherish our homestead rights more than anyone. And we’ve got the state constitution to prove it. Cue the old west music and picture Ma with a baby on her hip and Pa with his rifle at the door of their simple home. That must be what the Texas founding fathers had in mind when they enacted our state’s constitution and property code to help protect our citizens. Texas homestead rights were designed to keep creditors from taking your home and kick you to the curb. Unlike places like Pennsylvania or New Jersey, in Texas, standard creditors can’t seize your homestead. For example, if you owe money on a student loan, credit card, or similar debt, the company can’t force the sale of your home. Because Texans are fortunate to have one of the most protective homestead provisions in the country. 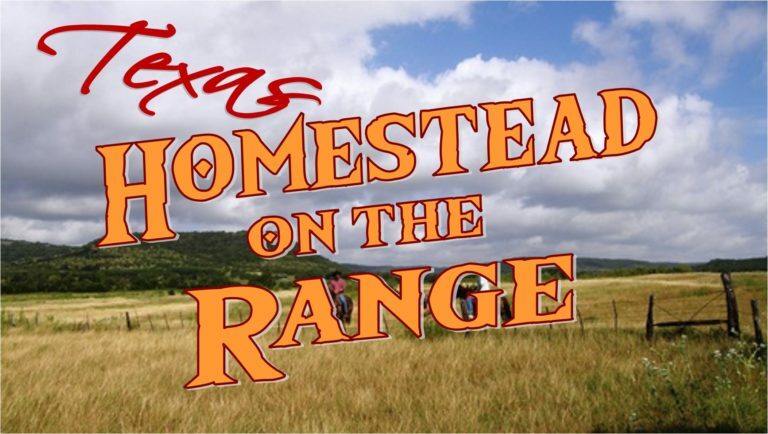 The definition of a Texas homestead and homestead rights are set out in the state constitution. Found in the Texas Constitution article XVI, section 50 and Property Code chapters 41 and 42 to be exact. While the homestead has always been sacrosanct in Texas, there are exceptions. A mortgage holder or taxing authority may force the sale of a home. If you don’t pay your mortgage, your lender can foreclose and take back the property. You have to ‘pay to stay.’ The IRS is another exception. Uncle Sam can take your property to satisfy tax debt. Texas courts also don’t tend to give homestead protection to protect criminal conduct. There are a whole bunch of legal restrictions, exemptions, and definitions, but basically a homestead is a primary residence owned and lived in by a family or single adult. You can only have one homestead entitled to be exempt from seizure by claims of creditors. Any transfer of a homestead property must be done by both spouses if you’re married. The legal description of a homestead in Texas, and what makes it exempt from creditors, is long and detailed. For specifics and guidance on Texas homestead laws and rights, consult a real estate attorney, tax advisor, or someone who can offer legal advice (which is not me). Most of us won’t ever need the legal homestead protections granted to Texans, but we’re happy to have them just the same. “As strong supporter of homeowner’s rights, and I’m proud that Texas recognizes the importance of a person’s homestead,” says Fair. The folks at home on the range would agree. All my original blogs are copyrighted ©. If you'd like to use or reference them in your own work or blog know that I am totally flattered and think that is way cool, but please contact me directly beforehand. I hope you enjoy. Thank You! Audra Smolinski is a Broker & Realtor with Gilchrist & Company located in DFW. Audra is proficient, experienced and dedicated to her clients and puts all her skills towards making home selling, buying, and leasing transactions successful!